The Dutch included the lands of New Jersey with those of New York and what they called New Netherlands. Therefore the story of New York's formation and accession to the empire is very similar to New Jersey's. I would recommend you read the story of the Dutch company and the English desire to rid the Atlantic seaboard of the Dutch influence on the New York page. It is after 1664 that the story diverges when New Jersey was granted by the Duke of York as a proprietary grant to Sir George Carteret and Lord Berkeley. 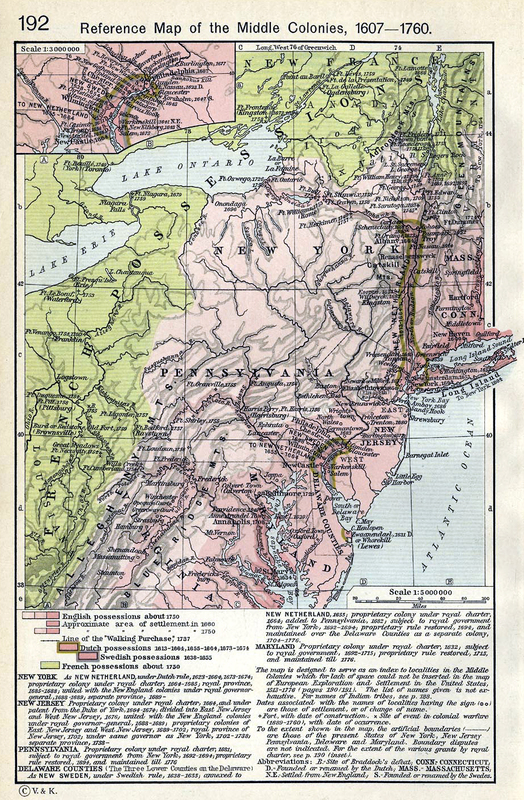 It included the land between the Hudson and the Delaware River. These men intended to profit from real estate sales. 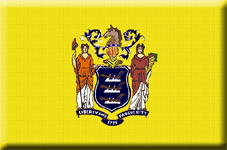 The new grant was named New Jersey for Carteret, who was governor of the Jersey back in the English Channel. 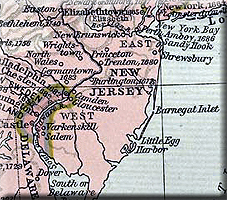 The province was soon divided in 1676 into two parts: East Jersey, which was retained by Carteret, and West Jersey, which now became the property of the Quakers. There was constant competition between the competing owners and the colony of New York. None of them trusted each other. Finally after a long season of confusion it was decided to surrender the whole colony to the Crown, and in 1702 New Jersey became a royal province. Queen Anne, who was now the reigning monarch, extended the jurisdiction of New York's governor over New Jersey, and this arrangement continued for thirty-six years, when in 1738, the two colonies were finally separated and became a colony of its own.